Replace text in one or many MS Word files. Text in headers and footers are also replaced. There is an option to find and replace multiple sets of words. Word 2000 or higher required. .
Delete underlined links (blue) from one or many MS Word files so that only text (black) remains. Word files can be automatically backed up before hyperlink removal. Use MS Word to transfer data to Excel. Each line in Word is a row in Excel. Specified characters (such as comma or space) can be used to divide each line into columns. Word 2000 or higher required. . Extract content in one or many Ms Word files. Extract lines by the character(s) they contain or do not contain. Extract between starting and ending character(s) repeatedly throughout entire file(s). Save all extraction results as a file. Word 2000 or higher required. In one or many MS Word files, extract images found within each file and save each image as a BMP file. Word 2000 or higher required. Split one or many MS Word documents into smaller ones by a specified number of pages. Word 2000 or higher required. Publish Query for Microsoft SQL Server helps to save query results to Ms Word document. This utility has easy to learn and to use wizard interface. All modern versions of Microsoft SQL Server are supported. This handy utility helps database users to create Ms Word document for results of a query execution within seconds. Combine two or more MS Word files. Specify files to be joined and create a new Word file consisting of content from each file. Kernel for Word is a professional Word repair software that enable the user to repair and recover all readable text from corrupt and damaged MS Word files. Carry out MS word document recovery with Kernel for Word in no matter of time. 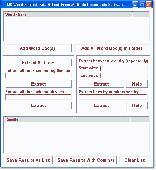 This simple and user friendly software repair word document and enables the user to access the word files. Easily combine multiple ms word documents with world's best 3Steps combine word documents software. This word documents combine tool will allow you to combine ms word files (.doc/.docx) together into one file with same previous format or style.